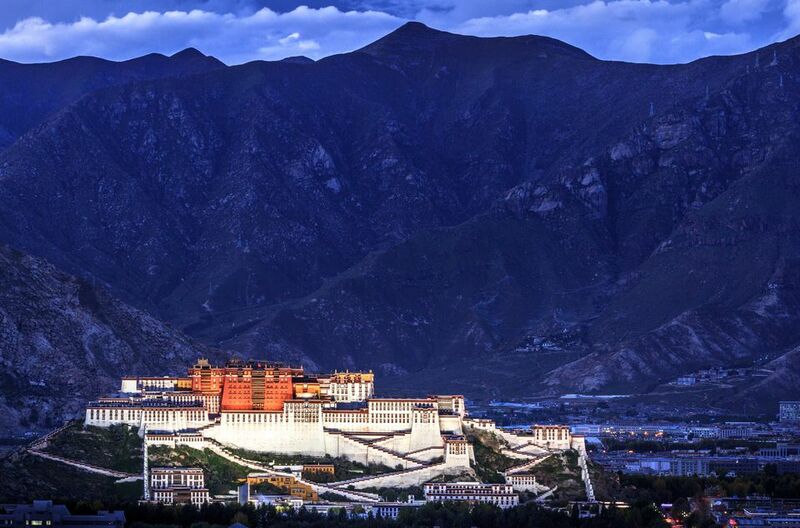 A traveler can get to Lhasa, Tibet, by three routes from China. From within China, most travelers fly to Lhasa via another Chinese city. Airports serving Lhasa include Chengdu, Diqing, Beijing, Chongqing, Xi'an, Yinchuan, and Guiyang. From outside China, it is only possible from Kathmandu, Nepal. Tickets can be purchased abroad, but you can also get to Nepal or China and then book from there. There are restrictions for purchasing tickets to Lhasa for foreign passport holders. These restrictions change frequently so all foreign passport holders must find an agent to issue a Tibet Travel Permit before buying tickets. Read more about getting permits and general information in Traveling to Tibet. The Qinghai-Tibet Railway was completed in July 2006 and is expected to bring in hoards of Chinese tourists. If traveling to Lhasa from within China, this is a great option as it might help you acclimatize to the altitude a bit better. You can take the train all the way from Beijing to Lhasa with a stop in Xi'an to see the Terracotta Warriors. Read more about the Qinghai-Tibet Railway. While there are a number of routes into Tibet, officially only two allow foreign travelers. The first is via Nepal. Many travelers book overland tours via the Friendship Highway that runs from Kathmandu to Lhasa. The 920km (570 miles) trip is spectacular although don't expect a shower along the way. It takes three to five days with stops for sightseeing. The second option is via Golmud in Qinghai province. The terrain is desolate so it's not recommended unless you happen to find yourself in Golmud, wishing to be in Lhasa. If this is the case, you may have a better time on the train (see above). And of course, you better have your travel permit sorted out or you might be stopped at the border and turned back. How Do You Get a Shenzhen Visa in Hong Kong?